Whatever is being built anywhere in the world, SCHWING-Stetter is there. For nearly 80 years the passion of the company has been the building material of the century and its processing. The SCHWING-Stetter Group is the world’s leading system house for all of the phases of concrete technology: from its production to its transport to generating and concrete residue processing. For decades now, SCHWING-Stetter has been pursuing a development strategy that is focused on the utmost in high quality. 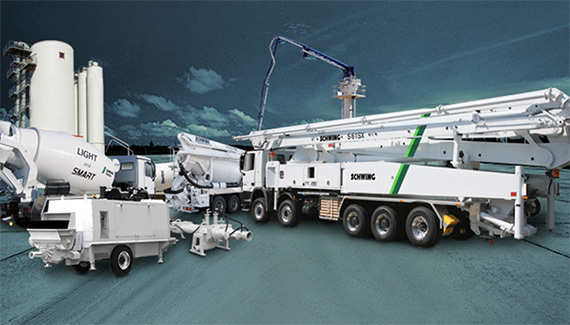 In addition basic machines, Schwing is the only concrete pump manufacturer that also develops and produces the integral hydraulic components along with mast and work cylinders solely in its own plants. Each individual step of the production is protected by the strictest of testing processes. 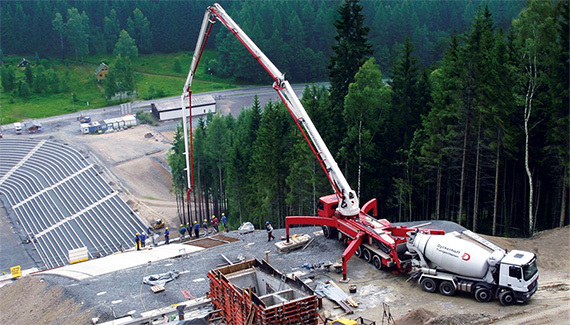 SCHWING-Stetter has been taking this path for decades, guaranteeing our customers a technical and commercial competitive edge as evidenced by more than 100,000 concrete construction machines. Our own sales companies in France, the Netherlands, Austria, the Czech Republic and Sweden along with representatives in more than 100 countries ensure sales and service world-wide for the products from the house of SCHWING-Stetter. As the world’s leading system house for concrete construction machines, SCHWING-Stetter offers the full range of transport concrete technology through consistent, complementary premium products for the production, transport, generating and environmentally sound recycling of concrete. The main production plant within the Schwing Group is the location at St. Stefan, putting its know-how to use for Schwing’s make-to-order production. As a part of the SCHWING-Stetter Group, Schwing’s make-to-order production can draw on all of the resources available world-wide. This is true for each link in the service chain from global sourcing and storage to the production and manufacture right up to surface finishing, buffer support and JIS delivery. Personal on-site support by competent technicians and throughput times are the some of the most significant factors for the success of the company. 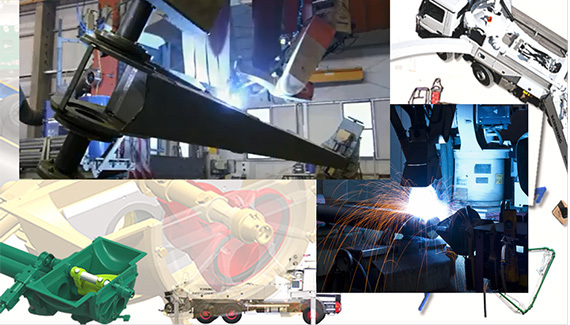 The product portfolio includes diverse components from the structural steelwork engineering sector and machine components along with a focus on hydraulic cylinders with our own in-house engineering, tailored to our customers’ needs. The customer has access to a broad range of machining equipment, semi-automatic and fully automatic machines, specially developed welding procedures and surface finishing. In 1934 master machinist Friedrich Wilhelm Schwing founded a workshop in the heart of the Ruhr region. His products quickly found customers in the mining and road construction sectors and in the construction industry as well. Setting up their own production shops and sales associate offices, the company grew into what is now the SCHWING-Stetter Group by focusing their attention at all times on being market and customer oriented. Today the group of companies is active throughout the world and has come to be the world-wide leader among full-range suppliers. 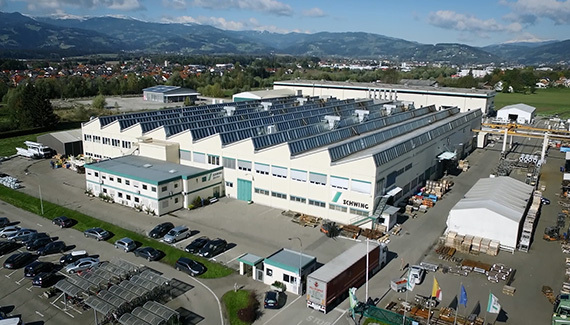 The Austrian subsidiary of the SCHWING-Stetter Group located in Carinthia was founded in 1970 and, based on its dedication to high quality and flexibility, has become the heart of the Group. 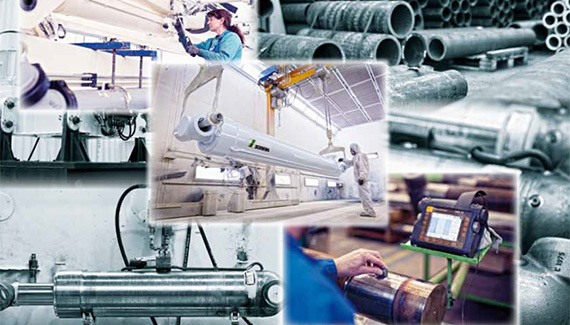 For more than four decades assembly groups and components for concrete pumps and distributing booms, frames and hydraulic cylinders of premium quality have been manufactured in St. Stefan, the main production plant of the Schwing Group. These products are destined for delivery to the plants of the SCHWING-Stetter Group in Germany, the USA, China, India and Brazil. Products and components from St. Stefan for SCHWING-Stetter equipment are in use world-wide and guarantee safety, economic efficiency and reliability. For Schwing, the award of the Austrian national coat of arms is recognition as well as an appreciation by the republic for decades-long, entrepreneurial achievements. As a globally positioned company and the world’s leading system house for concrete-processing construction machines and recycling plants – whose sustainable products are in use worldwide – the location St. Stefan will be able to highlight its high standards of production, logistics and quality with this national award. The significance of this distinction reinforces the location in Carinthia in its function as the main production site within an internationally operating group. Consequently, also the global significance of Austria as a business location is recognized and appreciated.